Centre for Security and Defence Studies. Annual Report 2009-10. (2010). Centre for Security and Defence Studies. Annual Report 2009-10. 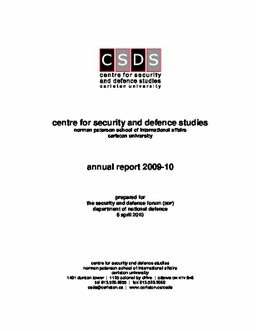 Centre for Security and Defence Studies.